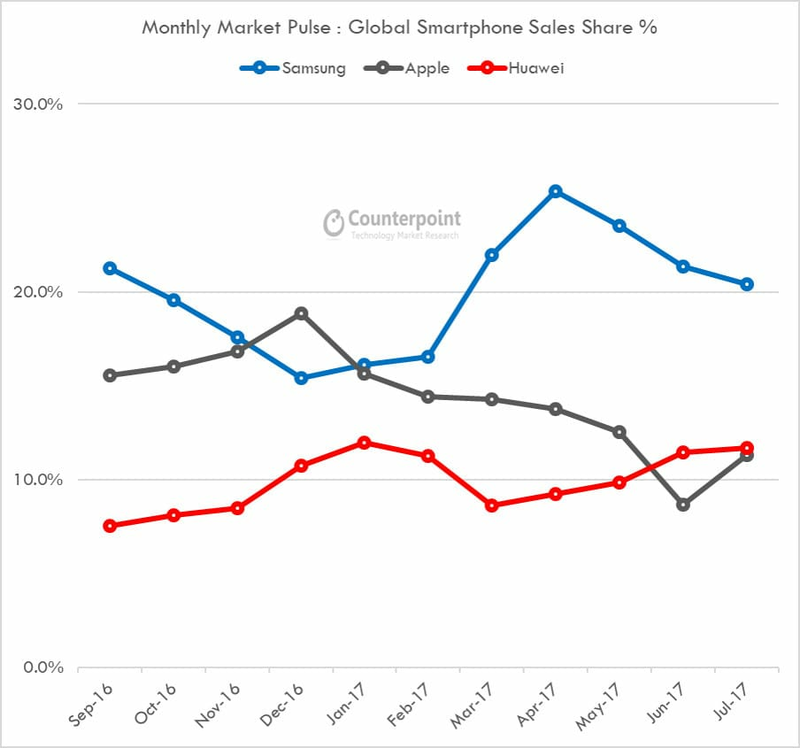 Early data for August indicates Huawei is likely to maintain the spot for a third straight month, but Apple might have something to say about that on September 12, when it unveils the 2017 iPhone lineup. A bulk of Apple’s yearly smartphone sales typically happen in the last half of the year. With three new iPhone models set to be unveiled later this month, Huawei will probably lose its lead over Apple. Unless the company is able to start making some inroads in North America, Huawei will be bucked from the second slot. Apple will probably blow past Huawei in September and October. Huawei has been dependent on its home market of China for growth. Meanwhile, Apple is doubling down on its efforts in the country by expanding its retail presence. The iPhone 8 is expected to big a hit in China, as many smartphone owners have held off on upgrading the last two years while waiting for a significant design change and innovative features. One of the biggest problems Huawei faces is a total lack of premium handsets to build brand recognition. Even though it racked up more sales than all other manufacturers except Samsung, the company doesn’t offer a single model in the top 10 rankings of best-selling smartphones.